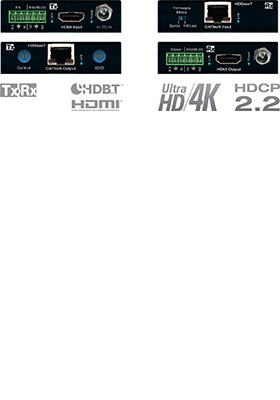 Key Digital HDBaseT/HDMI extenders are HDCP 2.2 compliant products that extend 4K/Ultra-HD signals up to 328 feet using CAT-6a shielded cable. In addition to HDMI video and audio signals, Key Digital HDBaseT/HDMI extenders carry IR or RS-232 for controlling remotely located equipment. 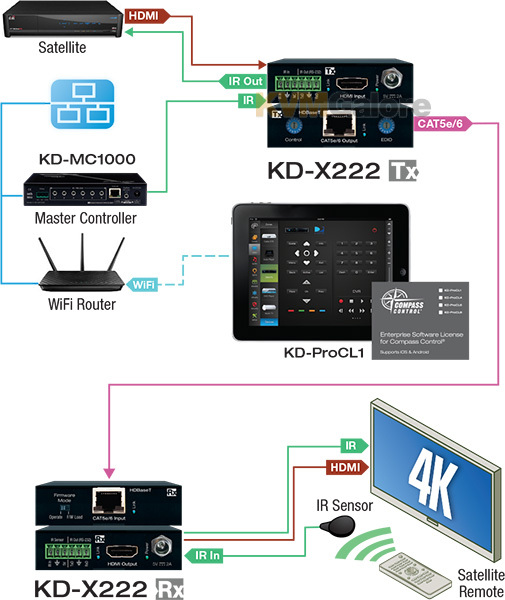 Key Digital HDBaseT/HDMI extenders support HDCP 2.2 and are also HDCP backward compliant, while providing more life-like images through a greater range of luminance levels by supporting High Dynamic Range (HDR) 10, Deep Color and 3D stereoscopic signal formats.